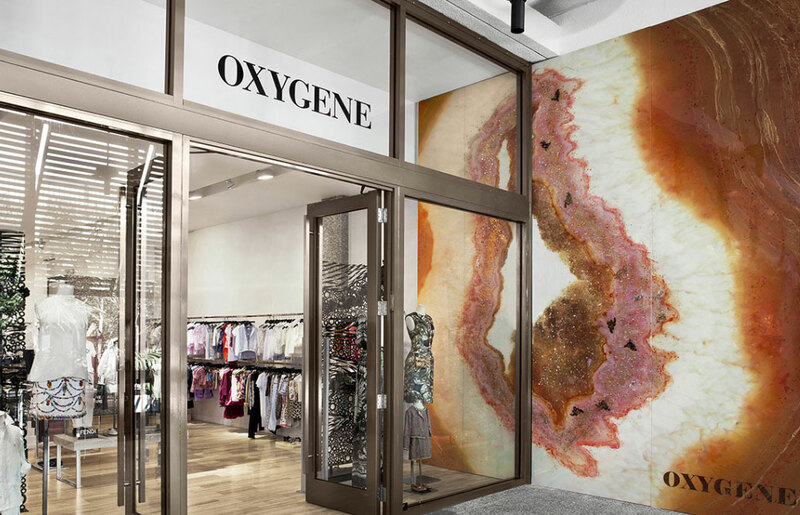 If you haven’t the budget for true precious mineral slabs in your next design, perhaps this might be just the ticket; Alex Turco‘s visions are alive in beautiful decorative art panels that have limitless possibilities as they are malleable and can be placed in any installation. 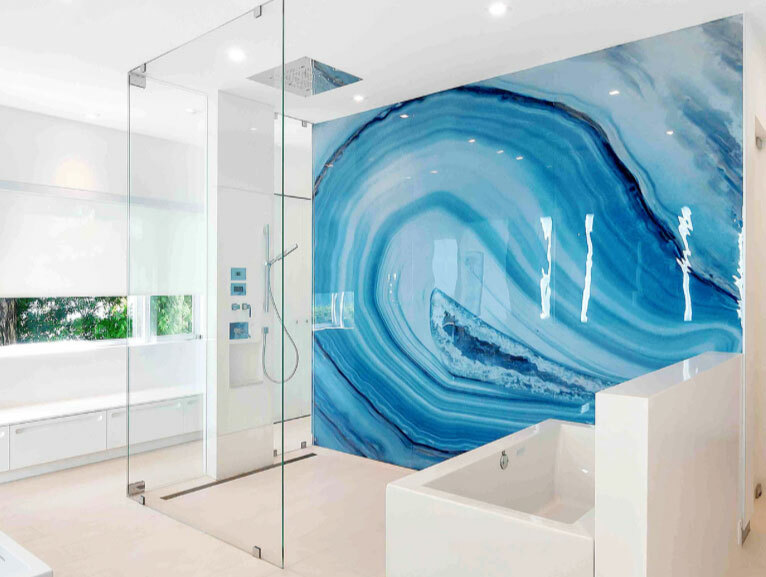 The “Blue Agate” panel from his Minerals Collection is on a plexiglass surface, making it a great choice for this application as a shower wall. I love how the mineral form almost mimics an ocean wave. Here is a hospitality application of an Alex Turco “White Heart” Mineral decorative art panel. These panels on plexiglass can be back-lit to give the stone an appearance of incredible luminescence. 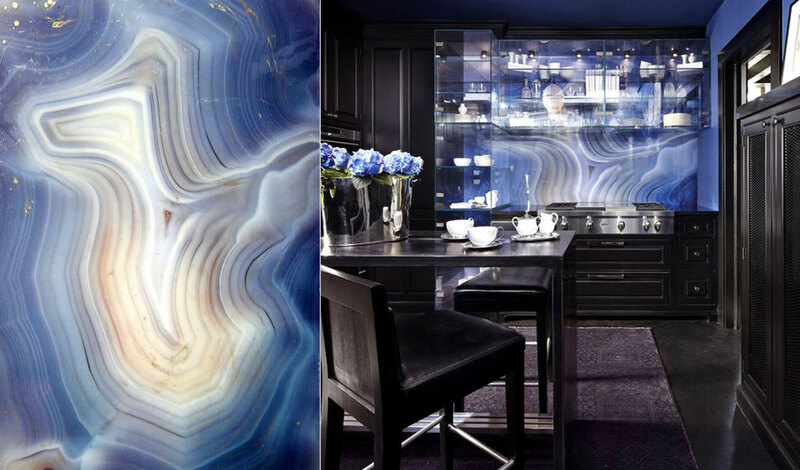 Above is a kitchen backsplash application of Alex Turco’s “Blue Monolith”. Glass shelves allow to viewer to see the entire image and makes the opening seem larger.